The 2011 Rome World Cup is a wrap. It lasted from July 1st to July 3rd in Ostia, Italy. This skateboarding competition is a part of the World Cup Skateboarding (WCP) organization. The WCP Summer European Pro Tour is comprised of the Orange Freestyle Cup, Rome World Cup, Relentless NASS and the Mystic SK8 Cup and the annual Rome World Cup that featured competitions for men and women for street, bowl and vert. It is a complete contest. 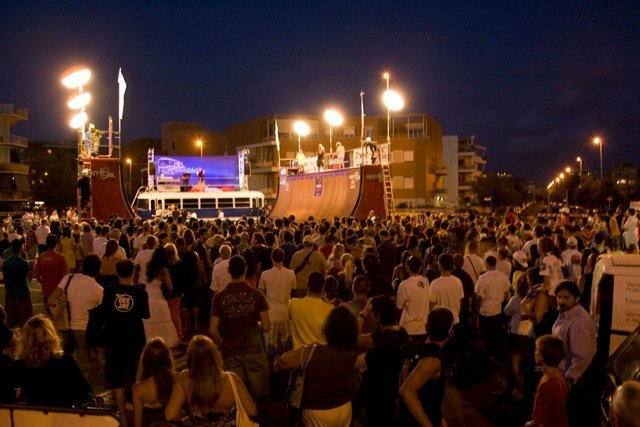 The 2011 Rome World Cup took place this year at the Spot skatepark in Ostia. Although the Spot was not able to host the vert portion, skaters only had to travel about two miles to Piazza Sirio to compete. The 2011 contest is now over and a big congrats to Sandro Dias from Brazil who won the WCS Bowl comp in Ostia, Italy with the first ever 540 in the SPOT Skatepark bowl!! He had speedy lines, big tricks and more!! It is an amazing feat for Latin America who had 5 skaters in the top 5 bowl division (4 from Brazil and 1 from Argentina). Actually, last year's winner, Milton Martinez just got 2nd, Rodolfo Ramos 3rd and Marcos Gabriel da Silveira 4th in the bowl event here in Rome. G-SHOCK Rome World Cup street finals were gnarly!!! !